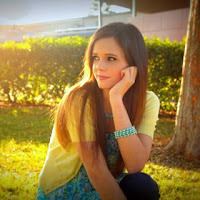 For those of you who don't know Tiffany Alvord, I suggest you go check her out. Here's her YouTube account. And here's her official website. Don't forget to buy her music on iTunes! So, she's an amazing unsigned singer-songwriter. She's beautiful with grey eyes, pale skin, and long, straight, brown hair. She writes love songs. Her inspiration is her life experiences and what she wishes would happen to her. She also plays keyboard, ukulele, and guitar. She goes on tour sometimes too. Okay, that's all I have time for. Sorry for it being so short. Maybe I'll write a longer one someday. But I gotta go now. See ya!